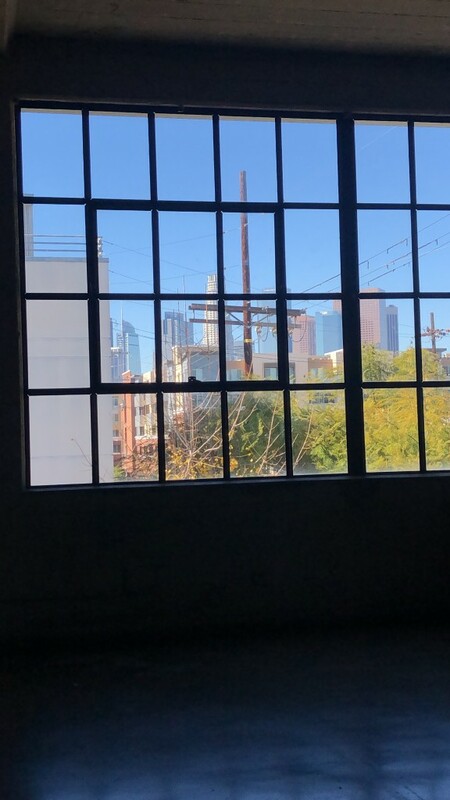 Ok, time for a little story time ( I will make it quick, I promise) before I get into the glitz and glam of my shoot with Good American (click here for my curated shop and 20% off – code GASTSQ-zjbu9y). Some of you may not know this but I actually started in this industry as a plus size fit model in Seattle back in 2007 while juggling my corporate day job. Now, fit modeling is not glamourous by any means but it’s a very important part of the design process. I remember thinking how I wished I could do print work but at the time it just wasn’t in the cards for me. I didn’t have “the look” they wanted and there were so few agencies at the time who had a roster of plus size models. Most major companies were only booking from Wilhelmina and Ford not to mention there were far less brands offering extended size ranges. Plus, I was slightly over the size requirements at the time, as a solid size 16/18, albeit proportional and tall, I was considered too big for print work. I did however, make the most of fit modeling with clients like Nordstrom, JAG Jeans, Unionbay, Eddie Bauer and REI. 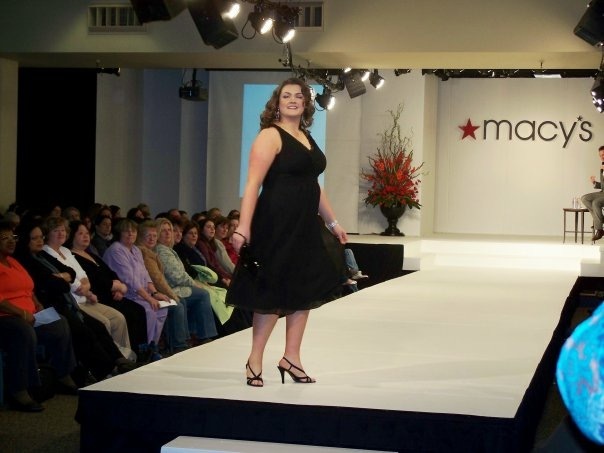 I also walked in quite a few runway shows for Macy’s and Nordstrom. So in the end it worked out pretty well for me. 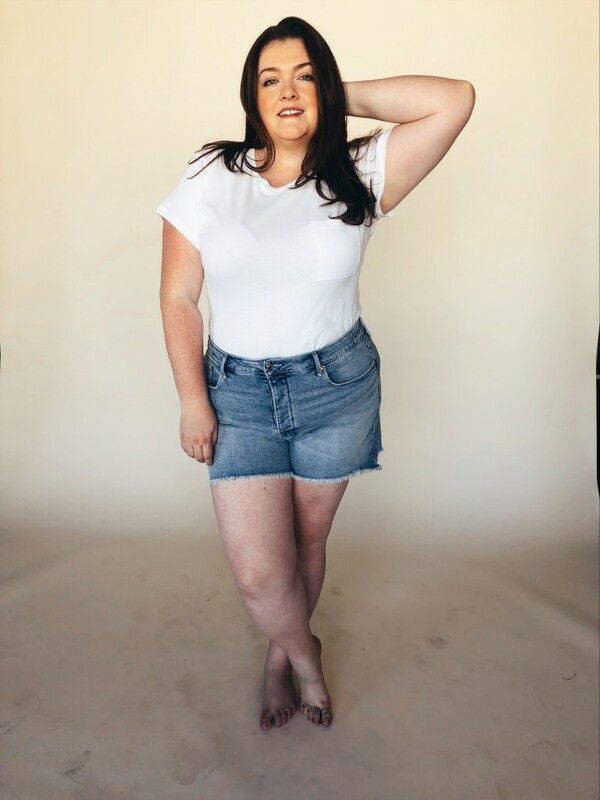 It wasn’t until I moved to LA and started this blog that more brands started expanding their sizes to offer plus that I really started to see more size diversity in brand campaigns. I scored a pretty sweet gig as Rachel Pally’s fit model for a few years while finishing design school at FIDM and working in trend forecasting for WGSN. Rachel also had me shoot for lookbook for one of the seasons which was pretty much my first print campaign in a long time. It was the coolest opportunity and I couldn’t have been happier to work with them. After sometime doing fit for several clients, I realized that my heart was elsewhere and lets be honest, its very hard to keep exact measurements without some sort of fluctuation upwards or downwards. I stepped outside of the modeling world and fully embraced blogging life. Some of you may not know this but I am actually a very private person, which does create some inner conflict when one puts themself out there on this type of platform. I love to engage and share but I also don’t feel the need to share every minute detail of my life like some of my colleagues do. That being said, I am trying to find a happy balance between sharing relatable moments and also maintaining my personal privacy. But more on that at another time. My reason for sharing this is that I didn’t expect to be booked for this shoot. I went to the casting with no expectations. While I am a very confident person, I also know the realities of the modeling world and prefer to stick to my side of the fashion world which is designing amazing clothes (coming soon), blogging and brand strategy. 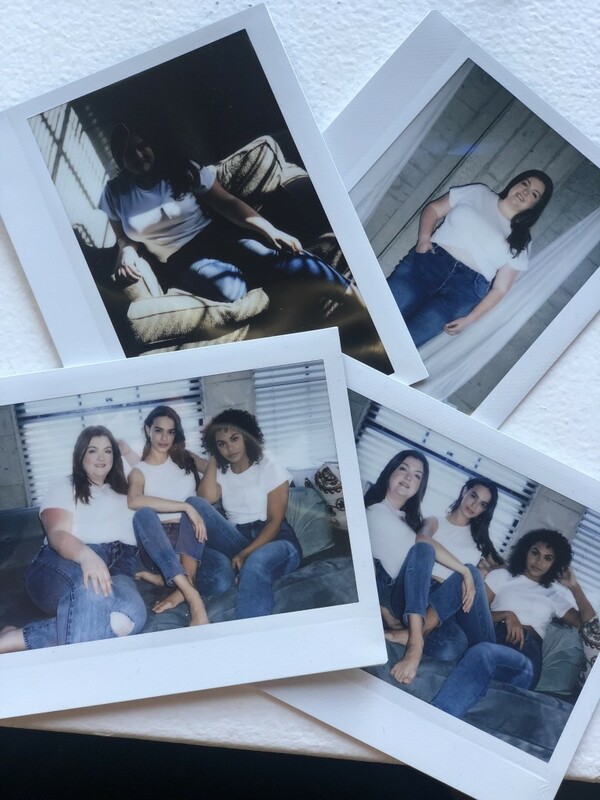 Fast foward to last week and I got the call from Good American that I would be part of their campaign for their upcoming shoot. I honestly wasn’t sure what to think, except I decided in that moment, I would go in and rock whatever they gave me to wear. Sometimes you get to shoots and you don’t love your hair or makeup or the clothes you have to wear are not you. This was not the case with Good American. From the minute my day began with a car service sent to pick me up at 5 am, to the catered breakfast, everything was on point. We had some of the best hair, makeup and nail techs on set plus fabulous stylists who wanted to make us look and feel great. Everything was highly organized with rows of Good American product laid out for us to shoot and stylists organizing the product for us. I loved having our own glam team on set to fix our hair or makeup if something was out of place. I wish I could have them on every single one of own personal blog shoots. 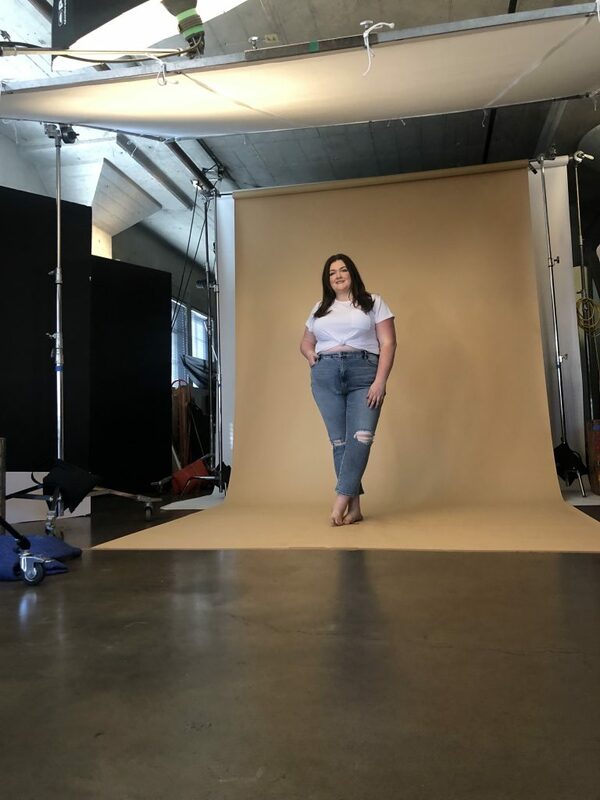 As we finished our individual shots and moved into our group shots, I realized how much I loved doing this and I loved that I was working with a size inclusive brand who had models of all shapes and sizes on set wearing the SAME product. Overall, I had a blast and all of the product fit me and made me feel amazing. To be honest, I haven’t felt myself as much lately and I’ve been trying to get back into a routine that makes me feel beautiful (more on that later). I wasn’t sure what type of feelings this shoot would bring up for me but I loved every moment of it and it made me miss doing print work. I left the shoot feeling accomplished and happy that I got the opportunity to work with such a great brand. 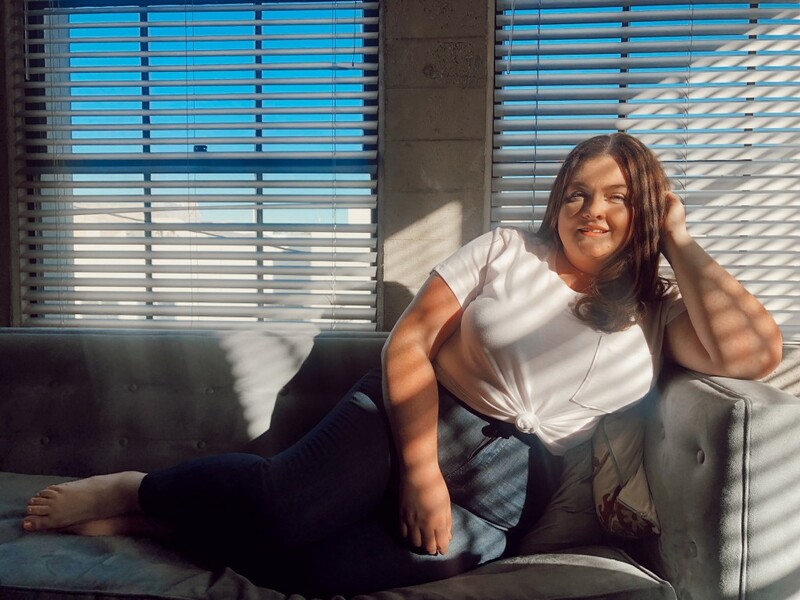 Since I have tried on so many styles from the Good American line, I felt it was a good idea to select some of my favorites below for you to shop! I also have a curated shop with them and there is a link to 20% off if you’ve been curious and would like to try them out! At the end of the day, I realized it’s best to just go for it. You never know what opportunities are around the corner for you. I’m grateful that regardless of what it is, I always have had the confidence to just go for it and if there is one thing I’ve learned taking the first step is a huge part of the battle. Wow, I loved this so much. Thank you for sharing.